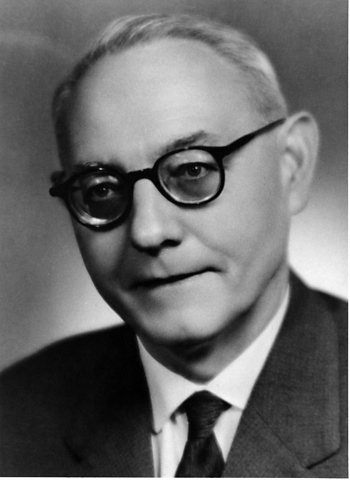 Description: Otakar Borůvka (1899-1995) is one of the most prominent Czech mathematicians of the 20th century. 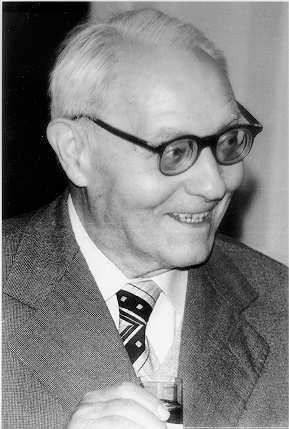 He spent most of his professional life in Brno (working at Masaryk University and at the Mathematical Institute of the Academy of Sciences of the Czech Republic - AV ČR). His extensive scientific work, i.e. 85 original scientific works and 5 monographs which have been translated into many languages, covers 5 mathematical areas: classical mathematical analysis, graph theory, differential geometry, algebra and theory of differential equations. Not only did he contribute significantly to each of these mathematical fields, but he also established scientific schools which were continued by his students and his students’ students at Masaryk University and elsewhere. Borůvka's works on classical analysis date mainly from the period 1923 -- 1925. In his paper "On a minimal problem" (1926) he was a pioneer in transport problems, the area that many years later became an important part of the theory of graphs. In his momentous works on projective differential geometry O. Borůvka was the first who studied analytic correspondences between two projective planes. Borůvka was also one of the main founders of the basic conception of general algebra. He established the theory of groupoids: his basic notions in this field made it possible to form deep and far reaching algebraic theories. After WW2 the essential part of Borůvka's work deals with differential equations, where he developed the original and fruitful theory of global transformations of linear differential equations of the second order. Otakar Borůvka was not only excellent scientist but also an outstanding pedagogue, well-known by his well prepared lectures and winning his auditors by his tireless diligence. The great importance of Borůvka's achievements has had wide response in a number of honours awarded to him in Czechoslovakia and abroad, and in numerous invitations to lecture at foreign universities and conferences. His contribution to the world science will never be forgotten. Acknowledgement: Digital archive of Otakar Borůvka has been created by the DML-CZ in co-operation with the Society of Otakar Borůvka. The creators are very grateful for the support of following sponsors: Institute of Computer Science of the Masaryk University, Brno, DCB Actuaries and Consultants s.r.o., and Private College of Economic Studies in Znojmo.